The water temperature is set between 36.C during summer to 39.8C during the colder months. The water is drawn from our onsite underground stream water bore. The water is then Ozone treated and filtered while in the tub. If required we add limited amounts of Bromine leaving the tubs water with clarity and purity. 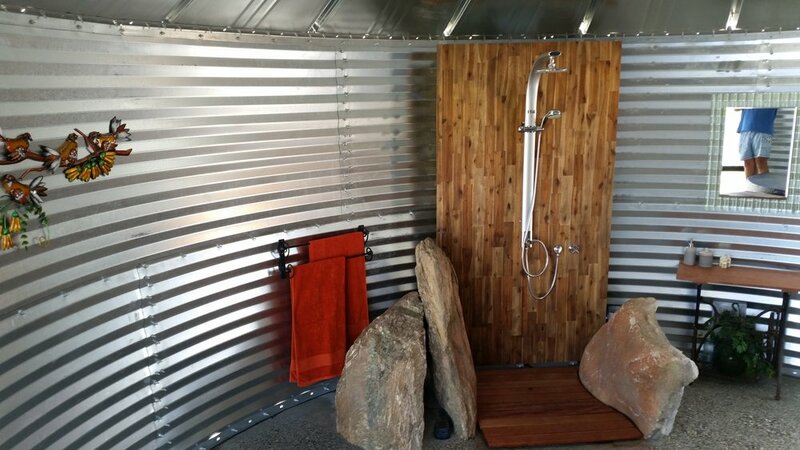 Experience our unique Silo Hot Tub/Spa $40 for one hour per booking, $10 per half hour thereafter. Booking is for two persons. Spa towels and robes provided. No BYO alcohol. 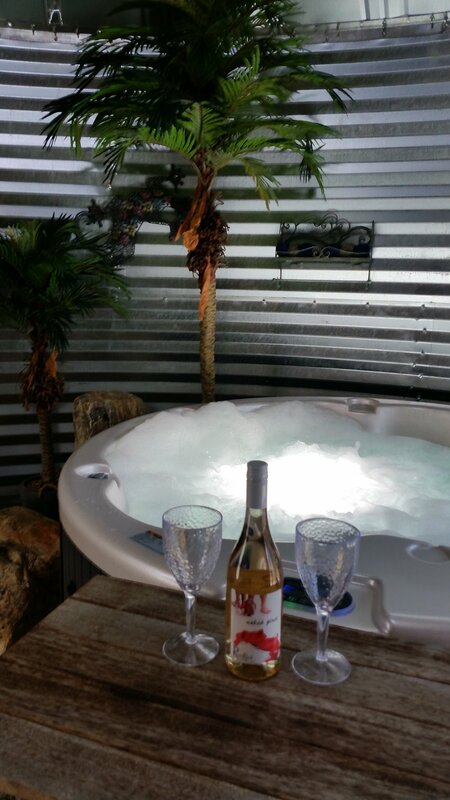 Indulge in our unique Silo Hot Tub/Spa with a bottle of River Rock Estate wine of your choice, $65 for one and half hours per booking, $10 per half hour thereafter. Booking is for two persons, includes one bottle of River Rock Estate wine of your choice. Spa towels and robes provided. Extra persons (maximum in Spa/Hot Tub four people). Extra bottle of wine. Extra half hour on booking. Pick up and take home. Book your Spa Experience/Indulgence when you book your accommodation or book direct. Chose your button below.